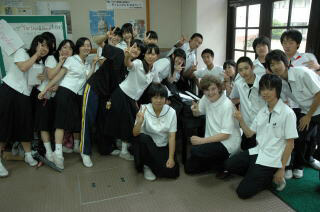 Kevin traveled to Japan in 2010 as a Japan-America Friendship Scholar. He has since volunteered as an alumni assistant at the Japanese Pre-Departure Orientation in 2012. “Studying abroad really helped me come out of my shell in high school. I was always rather quiet and shy around people I did not know. While I am still an introvert my YFU exchange helped me become a much more outgoing person,” said Princic. The middle of three boys, Kevin was excited to apply his three years of Japanese language study. As part of the Shimomura family in Nishinomiya City, the experience was life-changing. Now a University of Mount Union student, Kevin’s high school aspirations have evolved. “My experience in Japan helped me decide that I wanted to pursue a degree in Japanese. After learning so much about the culture first-hand I realized that I would love to study the language, history and culture further. This decision also encouraged me to begin studying international affairs and even another foreign language, Mandarin Chinese,” said Princic. Interested in learning more about the Japan-America Friendship Scholars (JAFS) program? Visit our website for scholarship details and requirements. Applications for next year are being accepted through December 1, 2014! A note from YFU USA President & CEO Michael HillDear Friends, I’m thrilled to be writing you as we enter the 15th annual International Education Week (IEW). Sponsored by the U.S. Department of State and the Department of Education, IEW provides an opportunity to celebrate the benefits of international education and exchange worldwide. Students who participate in exchanges increase their communication skills, grow in self-confidence, expand their foreign language proficiency, and foster greater tolerance and international awareness. Here at YFU, we continue to support people of all ages to take advantage of these life-changing opportunities that not only open minds and hearts, but also help to make us citizens of one world. At YFU, we see these stories come to life every year. Take a look at YFU YES student Abasse from Senegal who celebrated IEW last year by sharing information about his home country with a class of 70 elementary students. Word is the students were so curious and full of questions that they had to limit them to one per student! He even came back and made a traditional African dish for a 2nd grade food and nutrition class. Then, there’s Farjana from Bangladesh, who during her exchange not only made regular classroom presentations to share her culture but also taught her friends how to write their names in her native bangla and prepared traditional dishes for her host family. Our US students are making impressions abroad, too. Dominique from Richland, WA, has been keeping friends and family back home up-to-date with blog posts about her adventures as a student in Ecuador. She even came up with a fun educational project to improve her own language skills by drawing various items, labeling them in Spanish, and then having her classmates label them in English; providing a joint learning opportunity. These stories are just a few of the hundreds that exist, highlighting how curiosity about the world expands cultural awareness and acceptance of other ways to live, which in turn leads to broader perspective and greater understanding. Our students become teachers while on program, educating host parents, schools, and entire communities, modeling and explaining their indigenous cultures. It’s amazing to think about how these young people are shaping our world … and their own! Happy International Education Week, and thank you for joining us in being catalysts for positive global change.